We provide a wide range of information about support, resources, and services for families in Camden County, New Jersey. Camden ResourceNet is sponsored by Camden County Partnership for Children. We are still in development. Feel free to browse and submit resources or updates! Families can find specific recreational activities, health providers, support groups, and events in your area. If you are a resident of Camden County, NJ, please subscribe to our Monthly Events and News. Health Providers and Community Organizations are able to list their community and health resources, hotlines, support groups, and events. Do you provide services in Camden County? Learn about Benefits Coordination for adolescents and young adults with special needs transitioning to adult based services. Early intervention and Developmental therapy services. Individual and Family therapy. Intensive in -Community/Behavioral Assistant Services. Prism Support Services is a Support Coordination Agency with a dynamic group of people working to create a brighter future for you. Our employees are energetic, creative and resourceful people who embrace a future filled with opportunity. CPBC is an approved medicaid provider of Intensive In-Community services. We also offer in-home behavioral consultation, in-office individual and group psychotherapy, training, and Brain Wise psycho education curriculum delivery. CARF Accredited Outpatient Addiction and Mental Health Treatment Agency. 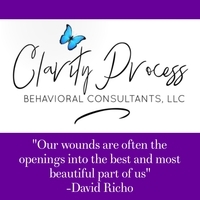 Licensed Professional Counselor in Collingswood, NJ providing individual and group therapy. 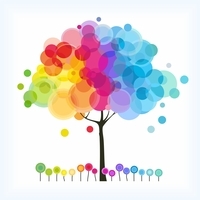 Specialize in LGBTQ+ mental health and challenging or compulsive sexual behaviors.